I had a new patient yesterday that had a foot drop( this is when your tibilias anterior muscle doesn't get nerve flow due to a L-5 disc problem). After only one visit he was able to dorsi-flex his foot! 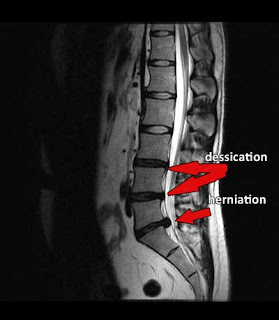 I had another patient that after 3 visits on the DRX 9000 to treat her severe central disc herniation experienced a 75% reduction in her pain! This patient had three epidural injections in her Lumbar spine in the last month and was scheduled for a micro disectomy in a month, she cancelled her surgery and has a smile on her face. Spinal Decompression in New York is helping patients get their life back!